Please post any free-builds that take place in Trador in this thread. If you want to license a piece of property in Trador, you must be someone (in some faction)! Post in this thread and fill out the web form. on most sides, and the water is deep. for unknown reasons. 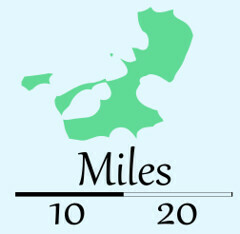 Nevertheless, sailors, and the natives, have avoided this island. What is the point of taxes when the owners are already filthy rich? Can one of those ports that raised taxes the past months show that it actually benefitted the growth? As progressive city, visiting fleets will have now to "pay" a development tax. 7+ vessels (same flagship): 1 large property or equivalent. 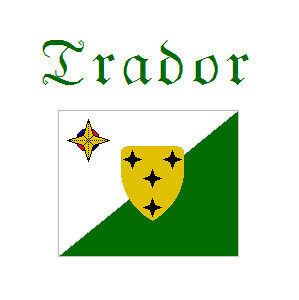 If help needed by licencing or not interested in licencing, the city of Trador (or one of its council members) is intersted in buying the licencing rights of your property for 10 (small)/ 20 (medium) / 30 (large) db's. The Trador Development Tax will be in effect the next MRCA. Ships currently in the harbour are free of tax for this month. If you are in need of funding, the Montoya Estate might be interested in setting up an Eslandian shell-corporation! Some Prospecting of the Fontonajo Mining Ventures at the ocean cliffs in the bay near Trador. Sounds like something for the Royal Society to get involved in! Count us in! The first Real Estate Contract in the new world will soon be real!!! 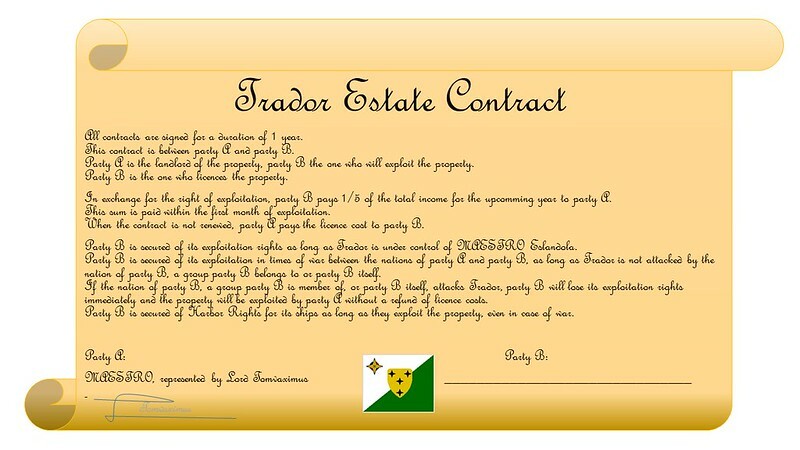 All properties that are for rent in Trador will be rented according to this contract. The hamlet of Trador offers tradequarters to merchants! Are you looking for a space where you can stock your goods, exchange them and count your money? Are you especially looking for a safe place to do this? Or are you interested in expanding your trade emperium? Then this is your chance to become a mayor trade partner of Trador! For an amount of 100 db's, you are granted your own house and storageroom at the quays of Trador. You are requested to send your trade emblem / coat of arms, the name of your company / family and the representing colours. You will earn 15 db's a month for the first 3 months and from the 4th month on, you will earn 25 db's each month! Your ships will have full inclusive harbor rights. This means that as long as your ship is in our harbour, it won't get attacked by other vessels. Not even when your faction is at war with Trador! Ofcourse these harbor rights are granted as long as the owner of these rights itself is not attacking Trador or a vessel/city belonging to MAESTRO. Your property will be yours as long as you don't sell them. They can't be seized by Trador, even not in times of war. If the owner of the property has attacked MAESTRO or one of its vessels or cities, the owner will not enjoy the yield of its property as long as he is in a state of WAR with MAESTRO and it will be MAESTRO who will enjoy the yields as long as the owner is not at peace with MAESTRO. Sign up here or by sending me a pm! This looks like a nice social thing to me. 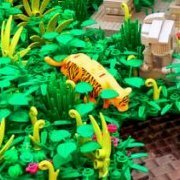 Everyone who signs up will see his interests represented in bricks in one of my next builds. The Smaugton family, with their eyes on the port access that is granted, wants to invest those 100 DB for the granted space. 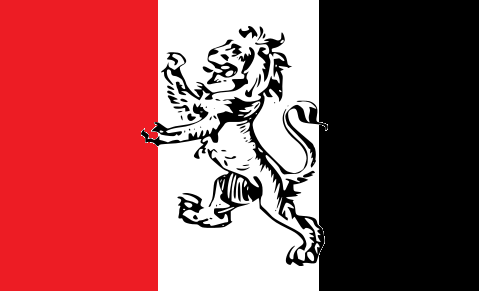 Of course, we use the colours of our beloved Corrington nation, the scarlet and black. 1) Will lost revenue during wars be reimbursed after peace has been established? This is relevant for the case where the owner of the property cannot be blamed for the state of war. 2) What of the situation where Maestro is the instigator of conflict? What sort of protection will be offered against this contingency? Looking forward to your clarifications. That's where you got my attention! Román Fontonajo is happy to take the deal and invest 100 DBs. He'd even be willing to invest more than 100 DBs and buy more than one property if there is a chance. Coat of arms and all further details will follow. 1) no, as this is only the case if the owner attacks sth belonging to MAESTRO. So if there is a war, the owner keeps its rights and revenues as long as he does not betray the city of Trador by attacking its owners. If he does so, he will lose the revenues from that point forward till the moment there is peace again between the owner and MAESTRO. Lost revenues are lost. 2) now the second case is much more interesting. As said, all ships are safe in Trador (as long as there is no agression between the owner ans MAESTRO). It also means that MAESTRO can not attack those ships as it will violate its own code then. The properties are owned by the owner as long as he does not sells that property and the rights it comes along with. 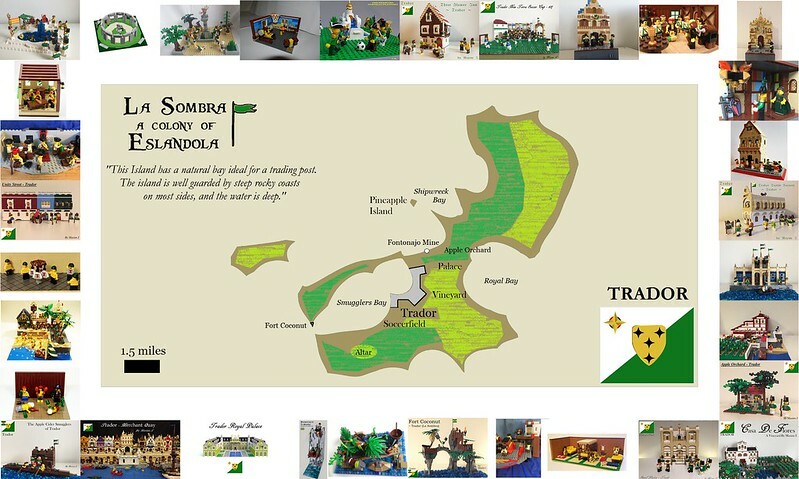 Those properties will not be seized by Trador and can not be seized by Eslandola as it belongs to the city of Trador (in other words, an Eslandolan entity will licence it). If the owner is the agressor against MAESTRO, revenues will be lost for a certain period. If there would be a case where the owner is the victim, he still will enjoy the rights of his property (and the according harborrights) as he is not the agressor. The Montoya Estate is happy to hear its concerns addressed so well, and will buy at least one, and up to three properties, should they be available. 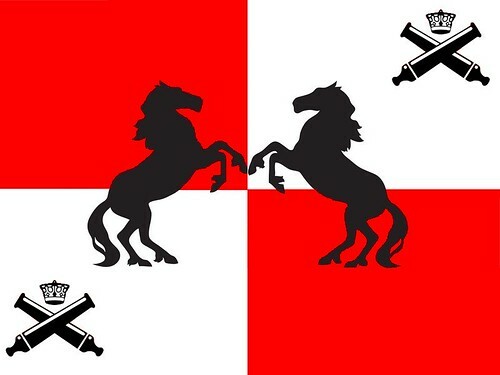 Coat of arms will follow later. The White Glove Order have received word about your endeavours to create a safe trading port in the city of Trador. We would like to attain a warehouse in the city and establish a safe trade route between the city of Trador and the city of Bardo. We are always eager to expand, so if there will be empty properties we are interested in looking at additional ones. Victor Servadac, on behalf of The White Glove Order. So, 1 order of property, more if there are available ones after a while. I see how you would like to spread them though, so only IF there are not enough interest around. The emblem for The White Glove Order (WGO) is the image of a white glove. Our colors are as diverse as those of the autumn. Green to yellow, orange, brown, purple, greys, black. But not blue. Never blue. Anything but blue. Wolf's Equine, Trading, and Expedition Company (WETEC) would like to purchase a property in La Sombra. 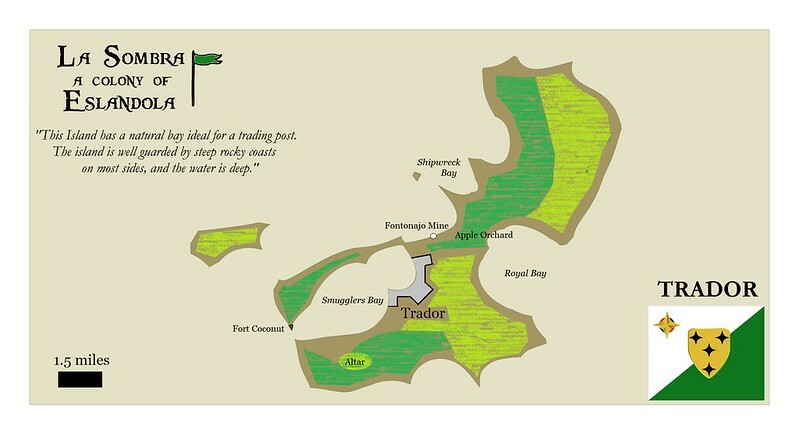 We find this endeavor to expand trade and forge good relations into the newest discovered islands a noble endeavor. It will also enable our expedition wing a place to resupply while exploring the new islands. Our trade flag is included in the signature of this letter. 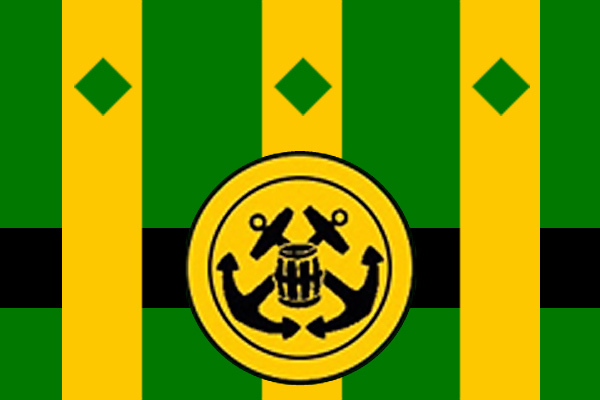 This request is sent on behalf of all five trade partners: Micah of Wolfhaven, Captain George Knight, Captain William Chase, Caleb Henry, and Arthur Kellogg. Arthur Kellogg, head of Trade for the WETEC. @SkaForHire: is there a way where Prio, Carno, Garvey, ... can buy a residence in Trador? 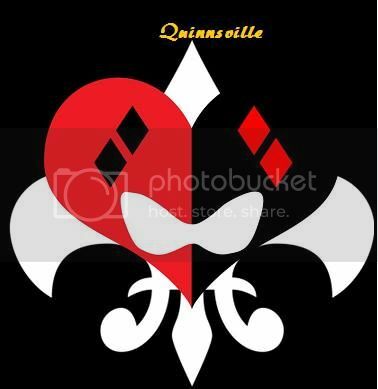 => Don't forget the emblems and please let me know what 2 colours you prefer as accent for your hq. Should the funds be transfered to Trador, yourself or Maestro? The picture links to the larger flickr file. Funds will be transferred immediately. Funds are transferred as it is easier to do it now than forget and spend the money. I forgot to clarify that the flag is belonging to the WETEC. @Maxim I: When may we assume starting to see returns on our investments? Have you lead us into a scheme, expect to see private ships of war outside your port within the month!